Tile Direct has been retailing floor tiles, wall tiles and tiling needs to leading tilers and building companies as well as providing great service to the public since we opened one small store in 2005 in Riccarton, Christchurch. 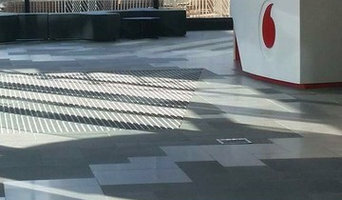 We pride ourselves on having the best range of floor, wall and exterior tiles. We offer unequaled knowledge and service, along with a huge range of over 300 different tiles stocked in New Zealand and at great value for money. We service a large proportion of tilers, builders, and designers meaning we have our finger on the pulse of latest technology and trends in the market. We source our adhesives, grouts & tiling accessories from the best suppliers in New Zealand and overseas and after years of experience have all the solutions you’ll need for your tiling project. Come see us today to find out how we can help you transform your home. We are floor and wall tile installation experts. Offering a full tiling service from start to finish, leaving you with an expert finish you'll love. At Europica Tiles in Mandeville Street, Riccarton, owner Craig Jenkins and his handpicked team are passionate about their trade and excited about playing a part in the city’s rebuild. 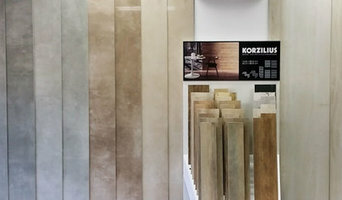 Dedicated to providing you with the highest level of service achievable, from the moment you enter the showroom in search of tile options to the laying of your selected tiles, the team at Europica Tiles are there to give guidance, knowledge and expert craftsmanship every step of the way. For Craig, who focuses on the operational running of the business and the showroom component of Europica Tiles, is as critical to the company’s success as the range of tiles on offer. Working as a team, tiles are sourced from across the globe, with each and every product carefully selected for both its function and form. From ceramic to porcelain tiles, mosaics to large, courtyard-style tiles, natural stone to exquisite designer and feature tiles, Europica offer have a plethora of choice. Whether seeking flooring or wall covering options for your bathroom, kitchen, laundry, living spaces, outdoor areas or swimming pools, Europica will work with you from conception to completion of your tiling project. Working with homeowners, architects, designers and builders, the team at Europica Tiles are experts in their field, with a wealth of knowledge and experience shared between them. The team includes interior designers, business experts and, as important as the tiles themselves, highly skilled installers who gain personal reward exceeding their clients’ expectations at every level. So whether you are planning to build your dream home or are renovating an existing property; embarking on a commercial venture in Christchurch CBD or revamping an existing commercial venture in the suburbs, call in to Europica Tiles at 45 Mandeville Street, accredited members of the Master Plasterers and Master Tilers Association. Precision Stone are the Premier Stone Fabricators for Kitchens and Vanities in the South Island. With our knowledge and experience in the industry our service and quality is second to none. Brymac Tiles is a family owned business established in Christchurch in 1976, yes that’s right, Brymac have been operating in the Christchurch tile market for 40 years! Brymac was primarily a tile installation service; many people will remember them in their store behind Briscoes in Salisbury Street. In the 1990’s the Brymac team began sourcing and importing their own tiles. The emphasis back then, and today is specialising in high quality European tiles at the cutting edge of fashion and trend but with a difference; price! By 2010 Brymac tiles had out grown their little shop behind Briscoes and moved to 42 Durham Street. In 2015 this distinctive black building was refurbished and now boasts a massive downstairs showroom, an intimate architectural studio and a dedicated trade counter for tradesmen and DIYers alike. Not only that; the Brymac installation team are also on site to offer an installation service second to none. Over the years the business has diversified and grown while still maintaining the family values, old fashioned service and advice. Years (decades even) of experience have allowed the team to find tiling systems and accessories that Brymac could 100% put their name behind. We now offer, with confidence to trades people and DIYers a range of tried and true products and ranges; Ardex, Mapei, Tilers mate, DTA, Kemgrout just to name a few. Brymac knows tiles and tiling; we believe we offer the best quality European tiles at the best price; materials that you can count on to get any tiling job done and an installation team with a 40 year reputation for quality. Who else can say that? Brymac tiles Quality, Price and Advice.…Nice! Our basalt, granite, marble, quartz, engineered and semi-precious stone slabs are displayed by colour and type, making viwing easy and our large overhead gantry crane allows us to select slabs for individual inspection by customers. We supply quality stone materials to all New Zealand fabricators, thus allowing you to maintain your existing fabricator relationship whilst providing the added benefit of pre-selecting the material of your choice and guaranteeing availability. Stone & Tile Wholesale (STW) are New Zealand Agents for the exclusive brand Porcelanosa and stock a large range of ceramic & porcelain tiles, natural stone slabs & engineered stone slabs. We are proud to represent the best in Spanish ceramic tile manufacturers such as Aparici, Saloni, Nanda, Natucer, Fabresa, Mainzu and Prissmacer. Giovanni Tiles are primarily porcelain tiles. This means they are of the highest quality, latest colours and fashion and textures for every environment. Being porcelain means they are durable and keep their as new look. We have a dedicated tile showroom in recognition of the growing interest from homeowners and construction companies alike, in having tiles laid in their homes especially with all the rebuilding and replacement of homes as a result of the earthquakes. We import our tiles direct which cuts out the middle man so our prices are very competitive. The durability advantages of tiles is one of the main reasons tiles are gaining favour in kitchens, toilets and bathrooms as well as entranceways. With respect to the latter tiles can provide an attractive yet hard wearing and waterproof flooring option where people enter and leave a home. High quality tiles do not wear out. You don’t need to replace them unless you want to change the style or colour of your floor covering. We have Excellent quality tiles at Excellent prices. BellaRoc is closer to a tile design studio than a tile store. Passion, quality and friendship are our priority. Check out our full range of tiles, including porcelain, ceramic, and mosaic, as well as an exclusive range of natural stone and European tiles. Our products are hand-selected from some of the largest suppliers worldwide. We import some of the highest-quality tiles and natural stone available internationally. Tiling Christchurch is not your normal tiling company because we exist to provide you with the best tiling experience in all of Christchurch. We have tilers all across Christchurch that we know and trust, who have delivered exceptional service, sound advice, and an outstanding tiled finish every time. Tiling Christchurch professional tiling services available throughout Christchurch include: Uplifting of existing tiles Floor Grinding Floor preparation Waterproofing Floor Tiling Wall Tiling Renovations New homes Commercial tiling fitouts Repairs and maintenance work Tiled showers For all your tiling needs we have you covered from Bathrooms, Kitchens, New homes or Commercial fit outs. Whether you are constructing a new building, renovating an existing one or repairing an earthquake damaged property, Stone and Tile Solutions can take care of every aspect of your tiling project. We are also specialists in Waterproofing and Under tile heating. We are a family business used to dealing with families and professionals alike. We can come to you with samples, give advice on which tiles will suit your interior design or work with your designer/builder to achieve a quality fit out. Please take the time to explore our website and don’t hesitate to contact us for more information or advice. Stone and Tile Solutions are a new name in the tiling industry but tiles run in the blood of it’s owners. Created by Meranie and Jeff Oliver with Bryce Marshall, the company emerged from Meranie and Jeff working in a her father’s large commercial based tiling business. Meranie grew up around tiles and took the opportunity to create a business with the kind of values that her father taught her over many years but one which also fits with the modern world we live in. Personalised service that is personable,convenient and meets and often exceeds customers expectations. Stone and Tile Solutions prides itself on being a one stop shop for all your tiling needs. 1 person, 1 account, 1 guarantee to cover all aspects of the job. We keep it simple! Many tile, stone and benchtop contractors in Christchurch, Canterbury, New Zealand work in tandem with plumbers in the bathroom. They can assist in a variety of common surfacing jobs, from installing shower pans to small grouting jobs. Furthermore, they can create and install murals, mosaics, and repair or replace any surfaces with chips, cracks or stains. Here are some related professionals and vendors to complement the work of tile, stone & benchtops: Interior Designers & Decorators, Architects, Building Project Managers, Kitchen & Bathroom Designers, Design & Construction Firms. 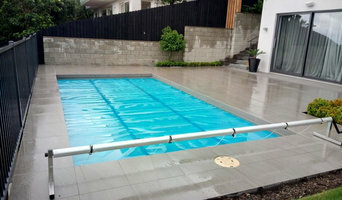 Find Christchurch, Canterbury, New Zealand wall and floor tilers on Houzz. 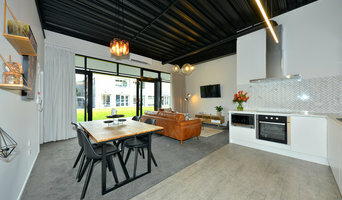 Look through Christchurch, Canterbury, New Zealand photos to find tile, stone and benchtop projects you like, then contact the contractor who worked on it. Browsing photos will also help you stay on top of the latest trends; subway tiles, for example, are trending in kitchen splashbacks, while stone and concrete benchtops are replacing tile or formica surfaces.